Halloween 2015 is brimming with creepy creations in all sections of the retail market. From kooky candy to dastardly decorations, there is a lot to track down. That’s why we’re here: to make the whole process scarily simple. The following does not constitute an endorsement of any product or retailer. It is for information purposes only. Over the past few years, Trick or Treat Studios has gone from a relatively unknown mask maker to Halloween royalty. They have been able to secure deals with major property-holders, unleashing latex creations beyond imagination. From Bela Lugosi’s Dracula to Michael Myers to King Kong, Trick or Treat has captured a significant corner of the Halloween market. 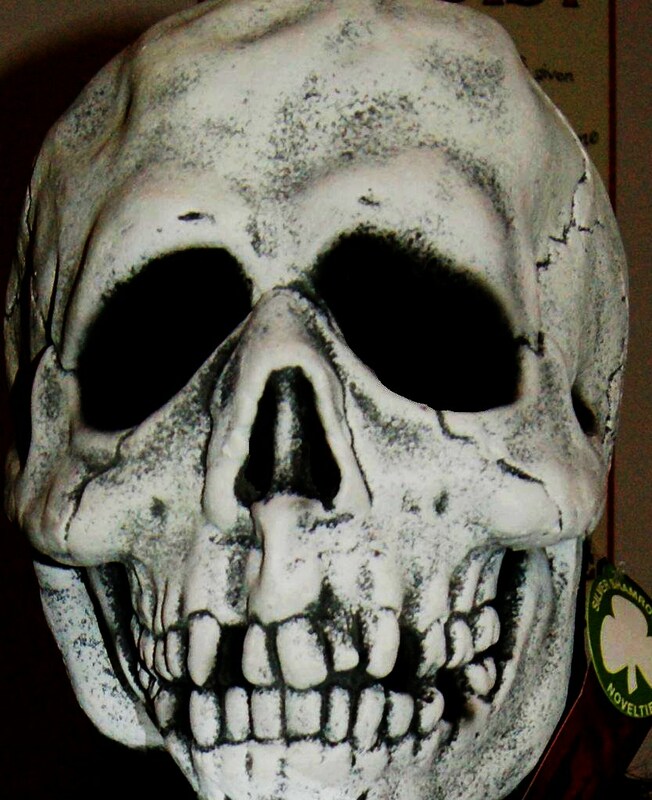 Three of the most exciting masks they are offering up are the Halloween III masks, pictured below. As you can see, the Pumpkin, Witch, and Skull look nearly identical to the Don Post counterparts as they appeared in the original film. Check out the complete 2015 catalog of creeps on the Trick or Treat website. Another giant of the Halloween season, Beistle, is finding new life in its century-old library of Halloween art. It is re-releasing several of its old Halloween cutout and die-cut decorations. From honeycombs to cardboard wall-art, Beistle hasseveral vintage reproduction decorations on its website. You may want to check it out, especially if you are planning a vintage-themed Halloween happening. Welcome, foolish mortals, to The Big Scare’s 2015 Countdown to Halloween. Every other day, from now through October 31, we will be posting preposterously posthumous ponderings of the Halloween season. We begin October with another installment of the Spook Spotter. Last year, Cost Plus World Market debuted a line of officially licensed Universal Monsters dinnerware featuring The Frankenstein Monster and his Bride. This year, they are expanding the line with all new platters, ceramic plates, and mugs. World Market also carries vintage soda bottles featuring the creature and his mate, lollipops with The Mummy and the Creature from the Black Lagoon, as well as Bride of Frankenstein tote bags. What’s really creepily cool is the fact that the ceramic plate of Frankenstein’s monster features an image of Glenn Strange in the role as opposed to Boris Karloff. Glenn Strange as Frankenstein is more iconic and recognizable to Monster kids, as it was Strange, not Karloff, who was featured on the Monster Craze merchandise of the 1960s. Hopefully we will see more Universal Monsters at World Market next year. Perhaps they can cut a deal with Bela Lugosi, Jr. next year and do a Dracula line of dinnerware. “I never drink…” wine glasses, anyone? HomeGoods (A TJX Company) has come through again this year with some amazingly haunting display pieces for your home of horrors. Take a look at this skull pumpkin, very reminiscent of the jack-o’-lantern featured in the opening sequence of John Carpenter’s Halloween II. This terrifying display piece features a dramatic display of color-changing illumination. Perfect for any fan of Halloween or Halloween. Other pieces for sale at the TJX stores include spooky busts, haunted miniature hearses, snow globes, and glass pumpkin candle holders (pictured in the gallery at the end of our post). The final item featured in our Spook Spotter today is a mind-blowing find – a vintage blow mold cat and jack-o’-lantern being carried at… Wait for it… Walmart. The king of big box stores is carrying mass-produced reproduction vintage blow molds. The first of these is the famous Hobo Jack-O’-Lantern. The next is the cat with the jack-o’-lantern on its back (pictured here). These blow molds have not been seen in dime stores in years, but now they are back. Granted, they aren’t 10 cents anymore, but they are better than 99% of the other Halloween decorations out there and definitely worth the $9.00 price tag. Ghastly Greetings, Boils and Ghouls! The Big Scare is, once again, preparing for the Halloween season. As such, we want to give you a creepy heads-up on all of the menacing merchandise on sale at retailers this year. Here are some of the best products available for purchase this season and where to find them. We begin our first 2015 Spook Spotter post with not only one of the most affordable products out there this season, but also one of the best looking. Behold, these wonderfully wicked window clings available for purchase at Winco Foods. These beautifully illustrated clings appear to use hand-drawn artwork, something that has become impossible to find in this age of digitally-designed decorations. Nearly all of the Halloween cutouts and window clings available in stores today have been created by someone behind a computer. These clings harken back to the days when blood, sweat, and ink went into the creation of Halloween decorations. Seeing these in the store should bring back a lot of memories for Halloween fans who grew up in the 20th century. The clings are available for purchase for $0.98 and are produced by a company named Mello-Smello. The next item featured in the Spook Spotter is a creepy, lighted scarecrow available for purchase at Ross Dress for Less stores. This scarecrow is a large, almost life-sized hanging decoration. When you first see it, it looks like a traditional scarecrow with straw hands and a tattered cap, but upon closer inspection, it is far more forbidding. Beneath the cloth covering, you can see the scarecrow’s head is that of a skull. What’s even more alarming is the fact that the skull illuminates! The scary scarecrow has multiple lighting settings. It can change colors, flash different colors, or remain a single color. This prop is extremely effective and would make a great addition to any haunt. It retails for $19.99 at Ross. The final item featured in our first Spook Spotter post of 2015 is an elaborately sculpted candle holder from Michael’s Arts and Crafts. This beautiful black raven candle holder has an incredibly lifelike sculpt. It is part of a new line of Halloween merchandise targeted at home haunters named Ravenshead Manor. All of the products in the line are indoor pieces that can be used to build frighteningly fashionable interior displays. This beautiful piece is highly-detailed and can hold either a taper candle or a pillar candle. Michael’s is selling Halloween-themed LED taper candles this year that could probably be used with this product. The raven candle holder is one of the most elegant and affordable pieces anywhere this season, coming in at $14.99. Be sure to check out the gallery below for more photographs of all of the monstrous merchandise featured in today’s post, including a high-resolution image of this Ravenshead Manor piece. We will be back October 1 with another installment of the Spook Spotter, followed by regularly scheduled postings every other day through October 31. In the meantime, let us know what cool products you have found this year by leaving a message in the creepy Comments section below! Welcome guys and ghouls to another week of thrills, chills, and spills on The Big Scare. This week, we have a complete lineup of the “must-have” home entertainment releases of the season. Certainly two of the biggest releases this year are the second and third installments of John Carpenter’s Halloween series. While both titles have been out on DVD for years, and Halloween II had a bare-bones Blu-Ray release last year, Scream! Factory, a new division of Shout! Factory, will unveil its treatment of these classics tomorrow, September 18. Not only has Shout! Factory produced some of the finest artwork ever created for a home video release, but both titles come with extras, including audio commentaries, “making of” specials, trailers, and more! So just how good are these movies anyway? If you haven’t had a chance to see Halloween II, you need to. It’s a sequel that is definitely worthy of the “Halloween” name, quite unlike later installments which shall not be named here. While II is not as good as Halloween, and lacks a lot of its predecessor’s subtlety and substance, it manages to evoke many of the same feelings and allows for further commentary on the concept of “evil.” But what makes it exceptionally memorable is the fact that Donald Pleasance and Jamie Lee Curtis get to share some screen-time. This is the last film in the series in which both original stars appear. And neither talent is wasted. But it is Pleasance’s character, Sam Loomis, that manages to steal the show. Halloween II gives the Loomis character the opportunities to achieve depths impossible in the original film, and Pleasance pulls it off brilliantly. This film gets 3 1/2 skull pumpkins out of 5. As for Halloween III? You’ve probably heard some negative things about it, mostly from the biggest fans of Michael Myers. While the film does lack the illustrious villain, it makes up for his absence with its strong Halloweentime imagery. Case in point: The masks. Need I say more? Those Don Post masks symbolize this time of year as much as Jack-O’-Lanterns and Candy Buckets. In addition, there are plenty of other opportunities to spot signs of the season throughout the movie. It’s worth a watch, if only for this reason. All in all, while the plot is a little far-out, it’s still stronger than a lot of the stories that came out of 1980s Horror. Halloween III: The Season of the Witch gets 2.5 Don Post Masks out of 5. If we have managed to pique you interest, you can pick up copies of both films tomorrow or rent them from your favorite video rental service. The Big Scare is back! 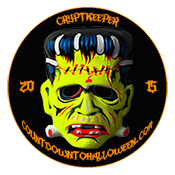 Be sure to join us for our 2017 Countdown to Halloween! Look for new posts frequently from October 1 through Halloween! Subscribe to our site for all the latest Halloween headlines!